Damon Thayer (born September 16, 1967) is an American politician. He is a Republican member of the Kentucky State Senate, representing the 17th District. Thayer was raised in Grayling, Michigan. He graduated from Michigan State University in 1989 with a B.A. in communications. He is the owner of Thayer Communications and Consulting LLC, a marketing communications firm. Thayer was vice chairman of the Republican Party of Kentucky from 1999 to 2004. In 2003, Thayer was elected to the Kentucky State Senate in a special election to represent the 17th District, which encompasses Grant, Scott and southern Kenton Counties. In 2017, he was selected Senate Majority Floor Leader. As a member of Senate leadership, he serves on the Committee on Committees, the Rules Committee, and the Legislative Research Commission. He appeared on The Daily Show in 2013. ^ Thayer, Damon. 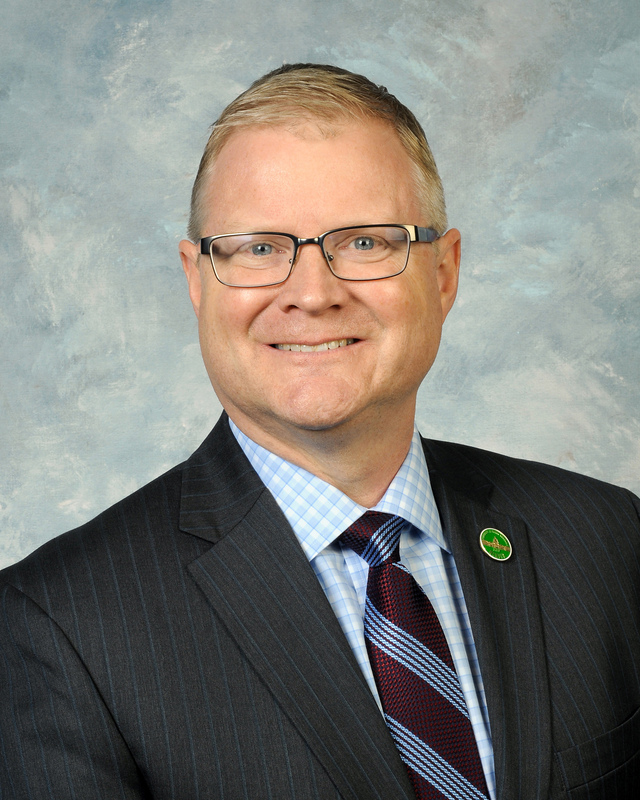 "Damon Thayer-Official LRC Portrait 2019". ^ "Damon Thayer". Ballotpedia. Retrieved July 16, 2014. ^ "Meet Damon". Campaign website. Retrieved January 4, 2019. ^ "Video Clip from the Daily Show". Comedy Central. July 31, 2013. This page was last edited on 20 February 2019, at 15:56 (UTC).